New 'Flowerona for Florists' Facebook group...for florists everywhere! New ‘Flowerona for Florists’ Facebook group…for florists everywhere! I’ve known for some time now that florists are very special people. And I’ve seen even more evidence of this, this week. On Tuesday afternoon, I set up a ‘Flowerona for Florists’ Facebook group and the response has been absolutely incredible! Over 300 people have already joined, from all over the world. There are members from the UK, America, Australia, New Zealand, Austria, Holland, France, India, Japan, Qatar and Panama. My aim in setting it up is for it to be a floral hub where florists can meet, share ideas & seek advice. And I’m thrilled to say that that’s exactly what’s been happening. I’m not going to go into detail as to what’s being discussed, as it’s a private place for people to interact. But what I will say is that it’s so wonderful to watch such a supportive network in action. And I’d like to thank everyone who’s joined to far, for making it such a success! Florists who work on their own, in particular, have found the group to be really beneficial, as they can reach out to fellow florists. One very kind member has already arranged a meet-up in July, which I’m really looking forward to attending. P.S. 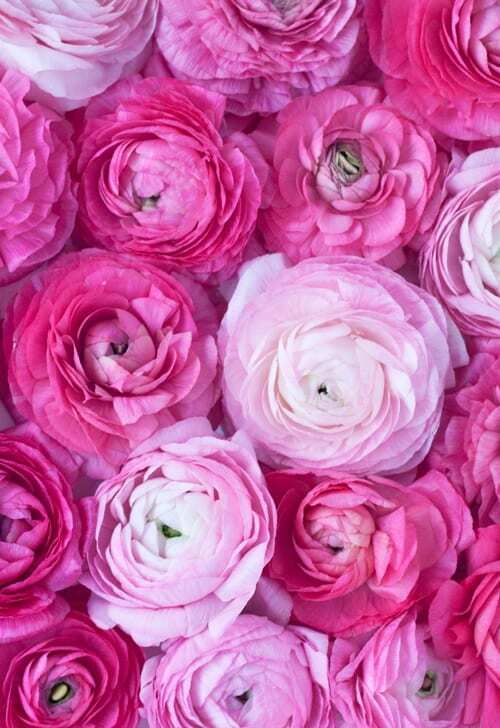 Hope you like the ranunculus image…these are standard ones!